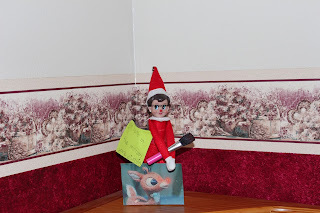 Jingles went around and painted washable red dots on everyone's nose. Here she is with the evidence. Jingles is trying on the twins cloth diapers. I really don't think they fit her, lol. Jingles last night with us and this is how she left. 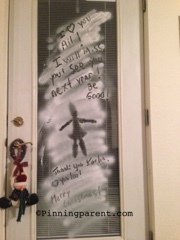 She went right through the glass door leaving her imprint , and a cute message for the kids. 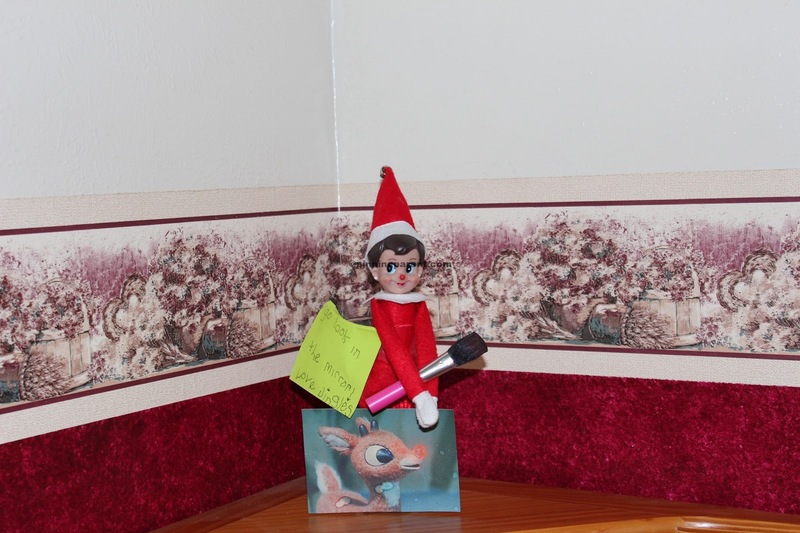 Jingles really loves my 3D mascara. 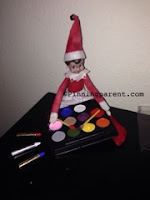 Jingle taking pictures with some of my Younique makeup. I guess she wants 3D mascara on. Younique 3D Mascara. I have it. 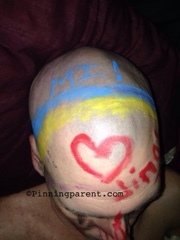 I will hook you up with 20% off, 12/15 only. Send me a message, thanks.